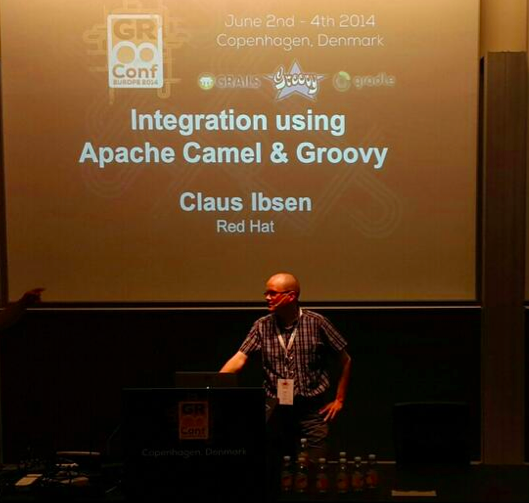 Today I presented Apache Camel at the gr8conf, which is a Groovy conference. 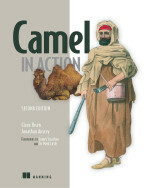 So in my talk I presented what Camel can do with Groovy today. The talk was recorded and will be later published by the gr8conf organizers. So keep an eye on their website when that happens. Being here at the gr8conf is fun and a great event. I love how the groovy community and ecosystem has been able to establish this annual conference, running at its 6 year now. Also I take my hat off for the great people of the groovy team that do the great work on this language, that is now over 10 years old. In my talk I also demonstrated hawtio which is a great web console, and a project that is fun to work on. So to prepare for gr8conf I developed a plugin example for hatwtio that is a Groovy Shell, so you can execute groovy scripts from the web console. And the plugin can easily be installed in Apache Tomcat, Karaf, JBoss Fuse, fabric8 etc. If you are interested in learning how to build custom plugins for hawtio, then I think the groovy shell plugin is a good example, as it has a bit of backend service, and a simple web page to go with that. 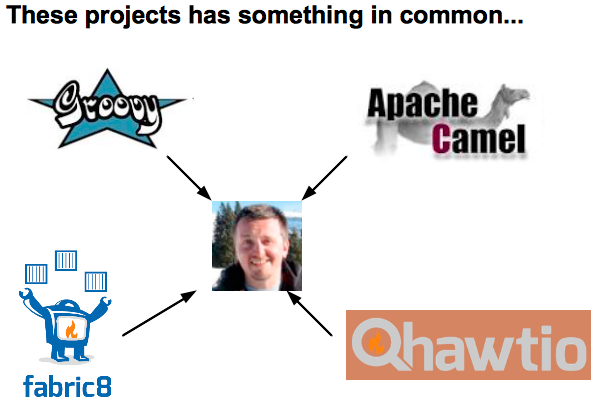 So in my day time work I have great fun working with great technologies like Apache Camel, hawtio, and fabric8. And also a bit fun when I get a chance to work a bit with Groovy too. Anyway I just wanted to say that all these four awesome technologies has something in common. They are created/co-created by a great entrepreneur in our industry.